The defence experts on Tuesday said that there is a need to tell China that Bhutan is as vital for India's interest as Taiwan is for them. "This has been China's way of doing things. Grabbing lots of territories and now they have a number of military bases there. A similar tactic is being tried in India. As far as China is concerned, we need to tell them that as Taiwan is important to China, this particular area is vital for India's interest. We cannot afford to leave it," defence expert Brig (Retd.) V. Mahalingam told ANI. He added that China must understand this and there needs to be a peaceful ending of this particular issue. "There is also a particular talk which is coming that China is interested in India joining the China-Pakistan Economic Corridor (CPEC). I must tell that India is not agreeing to CPEC because of one very important reason, China is trying to move its population into Pakistan's Gilgit like it did Africa and in the next 20-30 years China will take over this area from Pakistan and we will have a Chinese Army facing us right in front from Jammu and Kashmir to Arunachal Pradesh. Therefore, there is a need to talk and openly discuss the issue and resolve it," Mahalingam asserted. 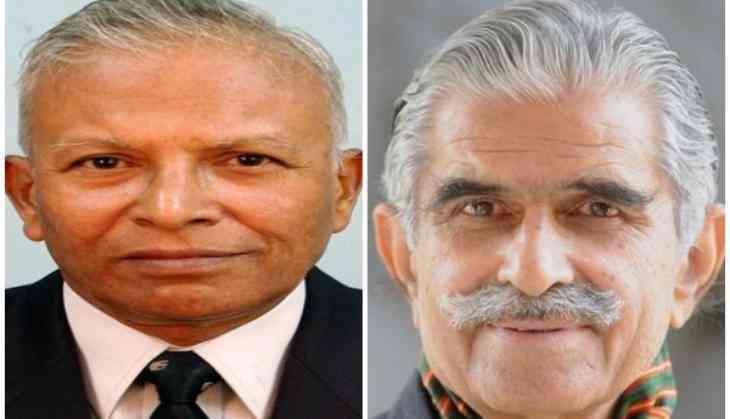 Meanwhile, another defence expert Ashok Mehta said that for the first time ever, India has a situation in the Chumbi valley in the Doklam plateau, where Indian and Chinese soldiers are confronting each other on Bhutanese territory. "This has never happened before. This is also the first time that the Indians have gone in support of Bhutanese against the Chinese. This time the Chinese have openly violated the agreement that they have had with the Bhutanese which relate to the settlement of the borders through peaceful means and that no attempt by either side will be made to unilaterally altering the status quo and that's precisely what's the Chinese have done," he added. He further said that China wants to delink Bhutan from India. Calling India's actions at the Sikkim border a "betrayal", China on Monday reiterated that the boundary section between the two countries was well demarcated. "The India-China boundary in the Sikkim section is well demarcated. The action taken by India is a betrayal of the position taken by the Indian governments," Chinese foreign ministry spokesperson Geng Shuang said at a media briefing. China also countered Union Defence Minister Arun Jaitley's remarks saying that China of 2017, like India, is also different from 1962. "He ( Arun Jaitley) is right in saying that India in 2017 is different from 1962, just like China is also different," Shuang said. Saying that China will take all necessary measures to safeguard its borders, it asked the Indian side "to respect the 1890 treaty" and immediately pull back the troops which have crossed into its territory. It also accused India of using Bhutan as a "cover up" for the "illegal entry" into the Doklam area over which Bhutan has lodged a protest with the Chinese government. "In order to cover up the illegal entry of the Indian border troops, to distort the fact and even at the expense of Bhutan's independence and sovereignty, they try to confuse right from wrong, that is futile," Geng said. He said China has "no objection to normal bilateral relations between India and Bhutan but firmly opposed to the Indian side infringing on Chinese territory using Bhutan as an excuse." "The Bhutan side does not know previously that the Indian troops entered the Doklam area, which is not in line with what is claimed by the Indian side," Geng said.